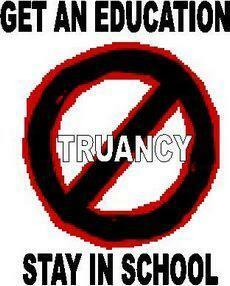 Any student who is absent from school or arrives to class 30 minutes tardy without a valid excuse is truant. The Loitering/Truancy Ordinance prohibits students under the age of 18 from loitering in or upon the public streets, highways, roads, alleys, parks, playgrounds, or other public grounds between the hours of 8:30 a.m. and 1:30 p.m. on days when the students’ school is in session. A violation of this ordinance may result in a citation of $250 and a court appearance.